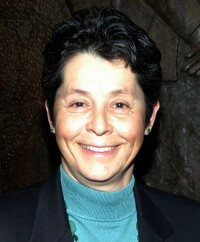 Luz Borrero is the Deputy Chief Operating Officer for the City of Atlanta‚ a position she has held since January 2004. In this capacity she is responsible for the management and supervision of the City’s operating departments as well as the oversight of city-wide business transformation projects. Projects under her direction include the Enterprise Resource Planning (ERP) project‚ the Permitting Improvement project‚ and the Radio Communications Upgrade project among others. Luz is engaged in the review and monitoring of ATLStat‚ the City’s outcomes measurement and performance management system‚ and is the Chair of the Homeland Security Council where she oversees emergency management operations. Luz serves as transportation policy advisor to the Mayor‚ and is a member of Mayor Shirley Franklin’s Senior Management Team. She is a member of the City’s Cabinet‚ where her continued efforts to managing the Departments as effective and efficient operations and her focused attention to improving internal business processes are an asset. Luz Borrero has demonstrated commitment to the Atlanta community through volunteer activities with many non-profit organizations‚ as well as her participation on numerous non-profit boards including the Georgia Conservancy‚ the Atlanta Dogwood Festival, the ACT (WABE–Atlanta) Board‚ the Atlanta Women’s Network, The Falcons Youth Foundation‚ and Several Dancers Core. She was for nearly four years Executive Director of Cool Girls‚ Inc.‚ an organization dedicated to the self–empowerment of girls in low-income communities. Before that‚ she was the Vice President of Finance and Administration for Big Brothers Big Sisters of Metro Atlanta‚ a position she occupied for eight and a half years. Her educational background includes studies in Cali Colombia‚ where she obtained a degree in Law and Political Science from the University of Santiago de Cali. She did postgraduate studies in Agricultural Economics and International Economics at the University of Montpellier and at the Institute Agronomique de Hautes Etudes in Montpellier‚ France. Luz is fluent in English‚ French and Spanish.